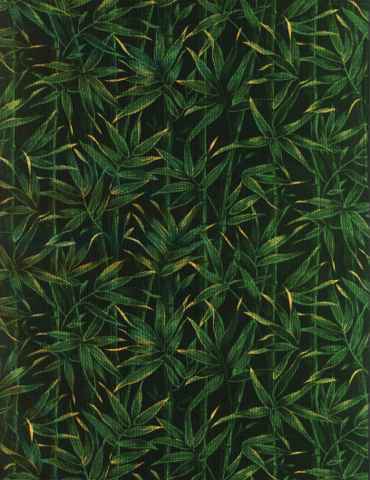 "The foundation cat of the Bengal breed"
Jasmine of Bamboo (ALC) Jasmine is an ALC imported from Europe. She is an amazing chained rosetted cat with a very clear coat, very golden in color, and wonderful white belly. She was bottle raised. 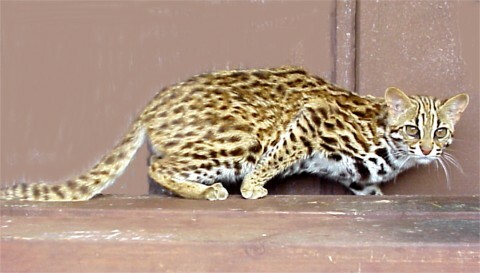 She is IPEBA and TICA Registered. Jasmine uses a litter box faithfully and is non-agressive in anyway. 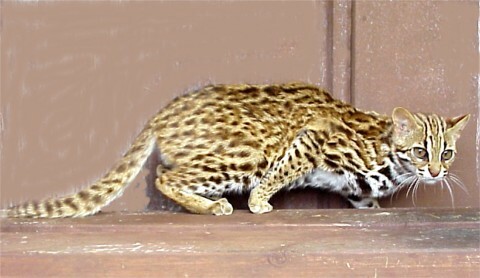 We believe the selection of the Leopard Cats qualities are as important as the Bengals bred to them. 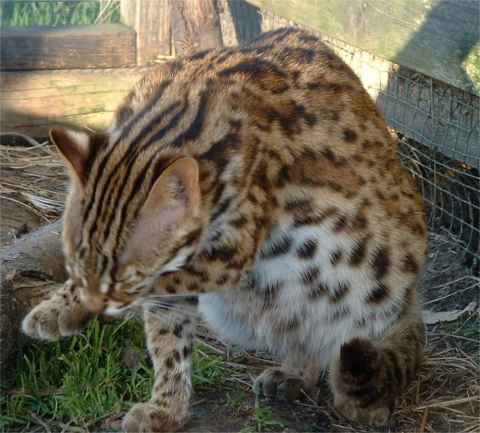 Jasmine will be bred to Maximas or Titan for pure Leopard Cat cubs, that will be added to our breeding program. 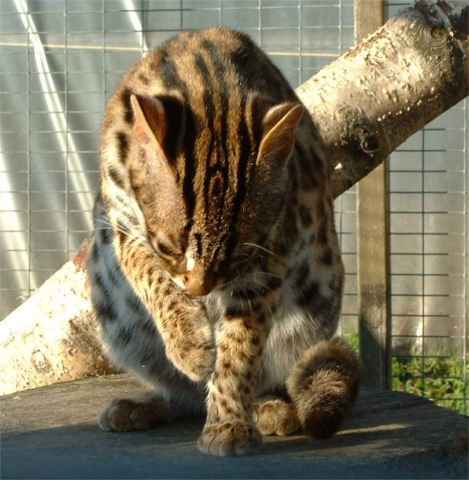 Please note: Bamboo does NOT sell Leopard Cats.